Becoming a stay at home mom ( SAHM ) or dad is an important decision a lot of families struggle with. Making the decision to stay at home with the kids while the other spouse works takes plenty of consideration and planning if you really want to make it a blessing for your family. If you don’t consider the advantages and disadvantages of staying home with the kids, you can very quickly end up stressed, unhappy and broke! How to Become a Stay at Home Mom (or Dad)! How to decide if stay at home parenting is financially doable for you. The potential consequences, now and in the future. How to be emotionally ready to transition to becoming a stay at home mom or dad. Cutting back to one income can be a real shock to the finances. This is especially true if your family is still growing. Below are some of the financial aspects to consider before you begin staying at home with the kids. How much does it cost your family to live every month? If you’re doing a written budget every month, you should have a good handle on that number. 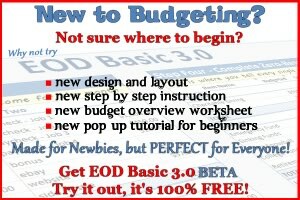 If you’re not, you need to start doing a budget now! Once you know how much your family needs to live, you’ll be able to make the calculations and find out if stay at home parenting is financially workable for you. How Much Does Work Cost You? You’ll spend less on gas since you won’t have a commute. Clothing expenses will be reduced. Less money eating restaurant lunches. You might even save money on taxes if you drop to a lower tax bracket by living on one income. The costs associated with working can be quite high. You can literally save over $1,000 or more a month just by quitting your job! Occasionally treating the kids to lunch outside the home. All these costs need to be factored in when deciding whether being a stay at home mom or dad is financially feasible. Can you still put money into retirement accounts? Will you still be able to have health insurance? Can you still save money for college for the kids? Staying at home for the kids is a wonderful goal. But if you compromise some aspects of your future (or theirs), is it really worth it? Only you can decide if the risks outweigh the rewards. If you’re getting serious about quitting your job and staying home, give your budget a test run first. You’ll see where the budgetary kinks are that you didn’t expect, and adjust accordingly. You’ll be able to put a nice chunk of money in the bank too! Giving your budget a 3 month test run before you quit your job gives you positive proof that you can actually be a stay at home mom without going bankrupt! For most families that really want to make it work, there are a lot of things you can do to make the financial side of the equation make sense. It’s all about being a little creative. Just because you want to be a stay at home parent doesn’t mean you have to quit working altogether. There are tons of great ways to earn money from home. You still have the pride of contributing to the family budget. Earning a side income helps take some pressure off your spouse. You can keep your skills sharp for when you eventually reenter the work force. You could also take a hybrid approach. If your current workplace will let you cut back to part time hours, you might be able to stay at home 2-3 days during the week and work a day or two as well. That way you get to spend more time with the kids while earning money for the family. Just be sure that working part time is not costing more money than it’s making. One of the biggest problems I see with the stay at home parenting transition is not adjusting spending habits. Many people make the decision to stay at home, but keep spending money the same way they always have. This is a recipe for financial disaster! You don’t have to live like paupers, but you do have to be more conscious of your spending so you don’t end up deep in debt and having to go back to work. Free museums (if your city has them). Visits to all the different parks around town. Play dates with other kids. Going on a biking adventure. Learning to coupon is a great skill to have. It can save you lots of money on groceries and other items without a lot of effort. You don’t have to go crazy like the extreme couponers you see on TV. But even done in moderation you’d be surprised how much you can save every month! Frequent restaurants where kids eat free. Go to cheaper “fast casual” establishments instead of sit down restaurants. Make a plan in your budget for how much you’ll spend for the month and stick to it. The envelope system works great for this! Take food with you when you leave the house. That way you won’t cave in to getting fast food when the kids suddenly get hungry. Of course, money isn’t the only thing you need to think about when transitioning to staying home with the kids. Below are a few more important things you should think about. Please believe me on this one. I struggled for years to get my wife Angie to get away from it all when our kids were young. As a stay at home parent, it’s easy to forget you need to have your own identity. Make time for yourself to get away from the kids and enjoy yourself. Enjoy time with friends, have a date night, or whatever you need to do to decompress and develop your own interests and social life. When you do this, you’ll be much happier and better able to deal with the stresses of stay at home parenting. Beware comparing yourself with what you see on the internet. There are a lot of mommy bloggers out there that love to talk about their 5 kids, immaculate house, and gourmet dinners every night. The reality is they are putting their best face forward. Life is perfect for no one. Comparison is the enemy of happiness, so don’t go there. It sounds so simple, but it can get really complicated. Both spouses need to be on board with stay at home parenting. That means sitting down together to fully understand the money situation, each other’s role, and the emotional impact of the decision. Transitioning to stay at home parenting can have some unforeseen surprises. Each spouse should do their best to understand the unique role of the other and make an effort to make their life easier. The spouse who provides the income is under a lot of pressure to provide for the family. That’s a role filled with a ton of stress! Give them a little quiet time to decompress before you let the kids loose on them. Have a good meal ready when they get home. Be careful about confronting them with problems (kids, house, finances) as soon as they walk in the door (see quiet time above). Don’t complain about a lack of money, having to cut back, etc. if they’re working hard to support you and the kids. The stay at home parent has his/her own challenges. Being home all day with small kids takes a ton of energy! In addition they’re expected to keep the house clean, prepare meals, provide activities for the kids, schedule Dr. appointments, etc. Understand their role is difficult and tiring, just like yours. Cook dinner a few nights a week. Make sure they spend time away from the kids. Allow them some quiet time. Take over care of the kids after work once you’ve had time to decompress. Play a bigger role with childcare on days you’re not working. Becoming a Stay at Home Parent is a Great Decision! Obviously, being able to stay at home with your kids as they grow is great for the kids (and you too)! They’ll never forget the good times and the way they were cared for as they get older. Yes, it can be a struggle at times. But if you follow the tips above and fully commit, I believe it’s a great thing you can do for your kids they will always remember! By the way, if you can’t (or don’t want to) stay home with your kids, don’t let anyone tell you that you’re letting your kids down. I was raised by two awesome parents who both worked, and had a happy, healthy, fulfilling childhood too! Question: Got any more tips for transitioning to being a stay at home mom or dad? Leave a comment on our Facebook Page or below.